Penny Reeve, is an established children’s author with more than 20 books for children in print. 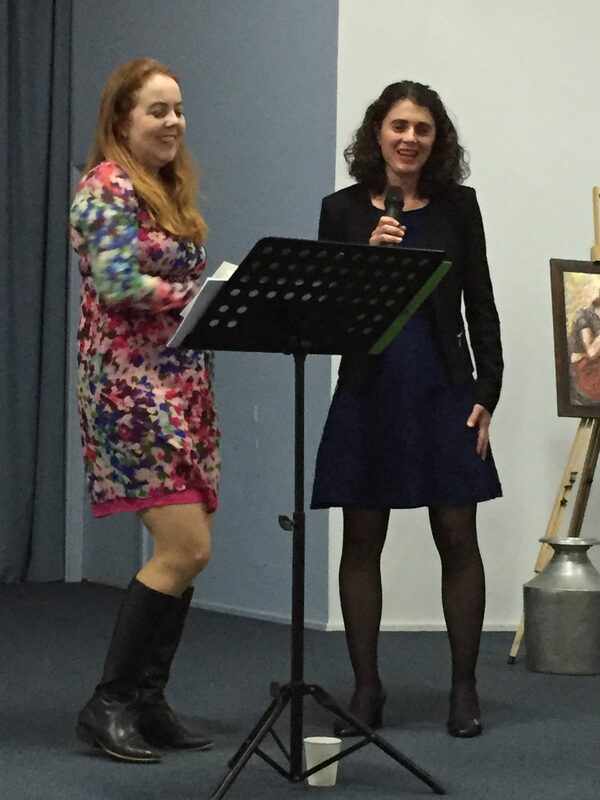 The latest in her Tania Abbey chapter book series, Camp Max, (published by Wombat Books) was launched earlier in the year. Penny says on her website that her books are ‘fun, real and empower kids to engage with – and respond to – the world around them.’ I love that quote! However, Penny has a darker side! 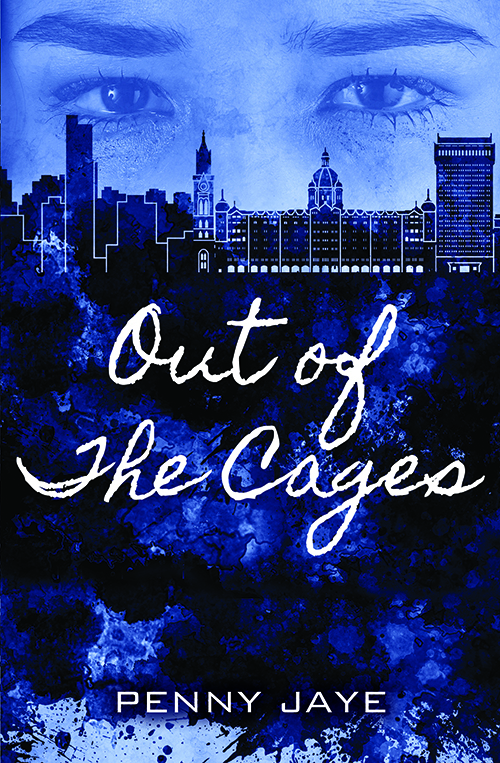 As Penny Jaye, she has just leapt across the genre boundary and published her first, powerful YA novel, Out of the Cages (published by Rhiza Edge). A novel that also pushes the boundaries of what is seen as ‘appropriate’ for YA, as we shall see. Penny and I share a publisher in Wombat Books and an illustrator in Leigh Hedstrom (for my When I See Grandma and her Camp Max) and she’s been a wonderful supporter of mine! We’ve met at various events over the years- she is a warm and supportive friend. Penny is also someone I respect and admire as a person and an author, for her sensitivity, courage, insight, judgement and experience, and the way her faith impacts all she does. 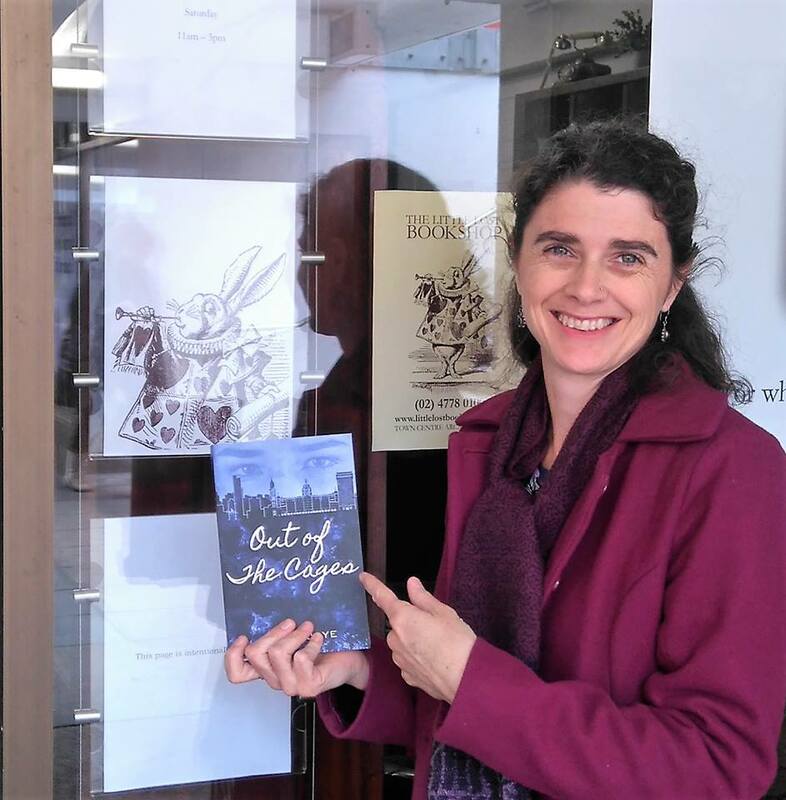 I attended the launch for Out of The Cages, and in this interview, I’m particularly interested in the process and challenges Penny faced writing her YA novel, as well as touching on her writing for younger children. So I’m starting the interview with a focus on Out Of the Cages, and then in part 2, I back-track to the beginning of Penny’s writing career. Hi Penny, thanks so much for being interviewed on the Just Write For Kids Blog! Having attended the launch of your latest book, a YA novel, I’m really intrigued by a few things that you said about the process of the production of this book. Firstly, can you tell what the book is about? Out of the Cages tells the story of two young Nepali girls who are trafficked from their home in Nepal into the brothels of Mumbai, India. The narrative begins three years after their trafficking, when, during a botched police raid, Meena is given a chance at freedom. As she begins to heal, her memories return and she must face the truth of her past and the prospect of returning home alone. So this is a book with strong and difficult themes. How did you come to write it and how long has it taken? 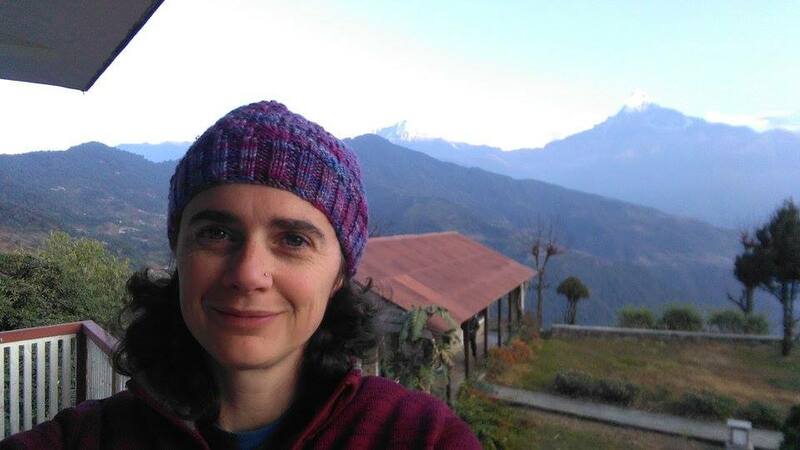 I lived in Nepal with my family during the early 2000’s and during that time I became aware of the numbers of people – girls, women and sometimes men too – who were trafficked and sold from Nepal to locations and situations of slavery all around the world. I began researching trafficking that took place into the brothels of India, but for me I knew the story I wanted to tell wasn’t about the trafficking, so to speak. But of the journey home. What would it be like to return home after experiencing such trauma, abuse and betrayal too? I wrote the first draft of this book in our final months in Nepal, and then spent considerable time rewriting, researching, rewriting and researching again. It’s been about 12 years now since first draft. That’s a long journey for you and this book. How did it stretch and teach you as a writer along the way? I think this project really pushed me to the limits of what I could do and what I knew about writing. I was incredibly naïve, when I began. Thinking I could just do a bit of research and imagine a story and then write it down. But the research resisted the stereotypes I had considered previously. And there was so much of it, I had to learn – predominantly through trial and error as I wrote and rewrote – how to know which facts the story needed and when I needed to let my characters tell their version. It also stretched me because it took such a long time before it was accepted for publication, and all through that time I was rewriting and re-honing the work and convincing myself it was worth the effort as the rejections kept coming. I believe this book taught me how to write, in all the different aspects of it, including never giving up. A lot of the initial research was done while I lived in Nepal. I collected newspaper articles, visited NGOs and searched through their archives for stories and interviewed their workers. But I also did the everyday type research about what it was like to live in Nepal. So one day I went and ‘helped’ my friends plant rice so I knew what it felt like to work calf deep in the mud, with the sun on my back and the sweat dropping from my nose. Later, after we’d returned to Australia I went on Google Earth tours and watched documentaries looking for information about the experiences of trafficked girls but also what life is like in the brothels, simple things like how people walk and talk and act in particular contexts etc. My characters are from a different culture to my own and I wanted to do that culture as much justice as possible, so I’d continually have to ask myself ‘Is this what she would think, or is that what YOU would think?’ In 2013 I went on a exposure trip with Stop the Traffik, an anti-trafficking organisation, and we visited Mumbai and Bangalore and Assam and I was able to hear stories of trafficking and meet those who are fighting it on the ground. A lot of what I learned on that trip ended up in the book too. It must have been a heartbreaking and confronting trip. I found it interesting that you said that you needed to write much of the novel BEFORE researching. This seems a bit back to front. Can you explain how that worked for you? It does seem back to front, and I remember thinking that myself when I began writing. But I was following the advice of another author I’d read in a magazine who said they wrote the book to learn what they needed to research. And I found this to be true for Meena’s story too. I had done enough research to know the basics of how young people are trafficked from Nepal, so I had enough to construct a plot. 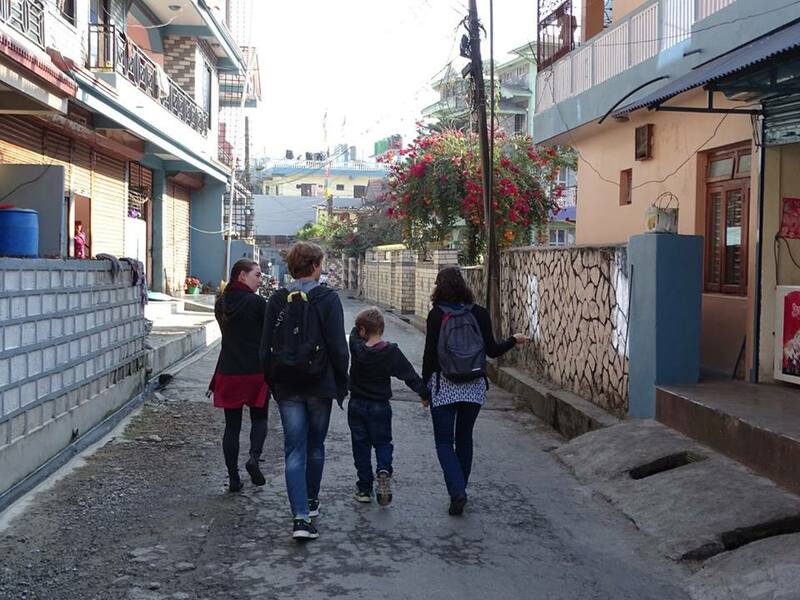 Then as I began to write I would realise ‘Oh, I need to know what they eat in the brothels’ or ‘How long does it take to travel by train from Nepal to Mumbai’ because these things impact the flow and detail of the narrative. So writing the first draft also involved writing a list of research needs that I then went back to, one by one, and adjusted the manuscript accordingly. And this process continued, over and over, until I was comfortable that although I was writing fiction, it was as true as I could make it. In all of this writing, you are grappling with experiences of incredible trauma. What sort of emotional toll does it take to write about such devastating issues and what supports are helpful to keep from being overwhelmed? There is a very real emotional toll. I know that I put off writing certain chapters because I literally didn’t want to have to imagine them. I didn’t want to consider what it would have been like to be 12 and in that situation, realising the hopes and dreams I’d had of life being that little bit better were all lies… it was tough. I certainly couldn’t have done it without the support of my family and those friends who believed this was a book that needed writing. I found there were times when I had to do immersion writing – as in, work solidly for several days so I could gather all the different threads and emotions I needed for the work. Other times I needed to put it away and leave it, write something lovely or watch a hope-filled movie. During one major rewrite I ended up restoring some old My Child Dolls as a hobby, I was fixing and making something beautiful as I was writing a story that was breaking my heart. It sounds like you were really putting yourself on the line. At your launch, you said that you couldn’t fix the horror of the situation that these girls face, but you could write about it, and you wrote Out Of the Cages with a sense of purpose – to be a voice for the captives so that they may be set free. I hope this vision is realised. What were the challenges of having a book about such complex and difficult themes being picked up for publication and what are the risks for a publisher, do you think? The thing that makes these types of stories difficult is the subject matter. Age wise, my protagonist is typical YA. But content wise, we’re crossing into older territory. So I think this made it a difficult book for publishers to consider marketing despite its relevance. Why did you choose to write under a pseudonym for this novel? I suppose it was a decision to respect my reader, more than anything else. I’ve written more than 20 books under the name Penny Reeve and am genuinely proud of those books and the way readers can engage with them. But they have been written for the Christian book market, which is fairly small and somewhat niche in its content expectations. Out of the Cages, on the other hand, as well as several other new books in the pipeline, is written for a wider audience. So having the second author name is just a nice clear way readers can pick and choose which types of book they’d like to interact with. It has also allowed Out of the Cages to have a little bit of anonymity about it, which I think is appropriate given its subject matter. If people don’t realise it’s me, that’s ok. It’s the story and the reader’s response to it that’s important. Wow! There’s a powerful story not only in the book but also in the writing of it. Thanks Penny for this insight into the process! In part 2 the interview back-tracks to the start of Penny’s writing career. Don’t miss it next month. In the mean time, check out her website – it has many great resources for writers, and Penny herself offers editorial consultations and mentorships. 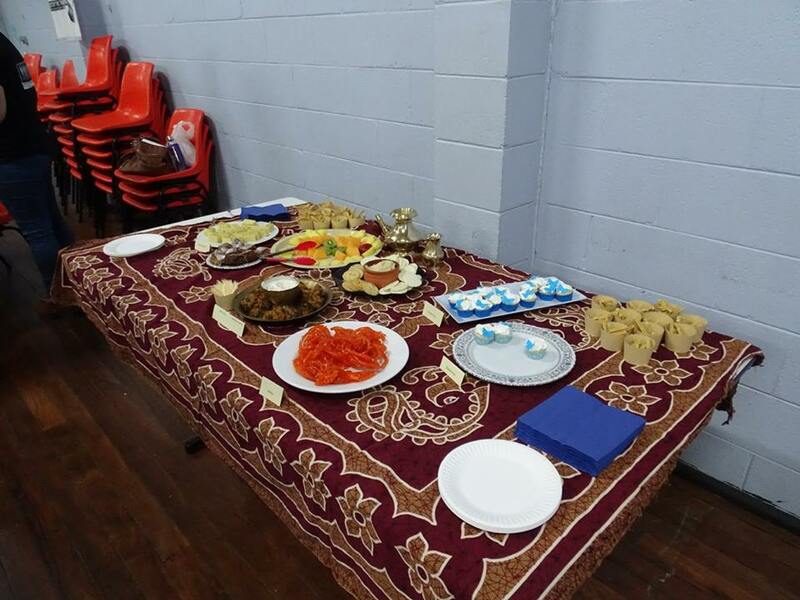 Best food ever at a book launch – butterfly cupcakes and Indian sweets: pistachio barfi and jelebi and sweet, milky chai were some of the highlights. Thanks Brook, I’m glad you liked it! I recommend ‘Out of the Cages’ – it’s a powerful book with an important message.